Fuller House’s D.J. (Candace Cameron Bure), Stephanie (Jodie Sweetin), Kimmy (Andre Barber) and other cast members spoke directly to the camera to announce the return of the series on December 14—just in time for the holidays. Netflix also revealed festive first-look photos (above) for season four, which will follow Kimmy’s pregnancy as Danny (Bob Saget), Joey (Dave Coulier), Jesse (John Stamos) and Rebecca (Lori Loughlin) move back to San Francisco. 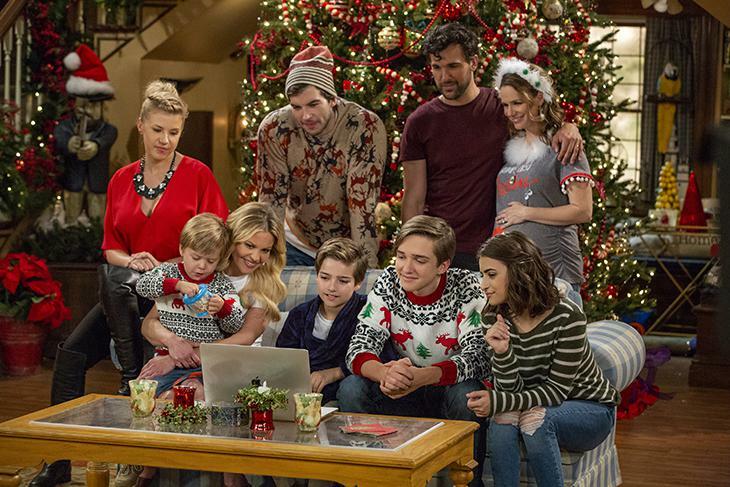 Fuller House also stars Juan Pablo Di Pace, Soni Nicole Bringas, Michael Campion, Elias Harger, Scott Weinger, John Brotherton, Ashley Liao and Dashiell and Fox Messitt as Baby Tommy. Season four also features new showrunners Steve Baldikoski and Bryan Behar after creator Jeff Franklin was fired in February for allegations of inappropriate behavior on set.